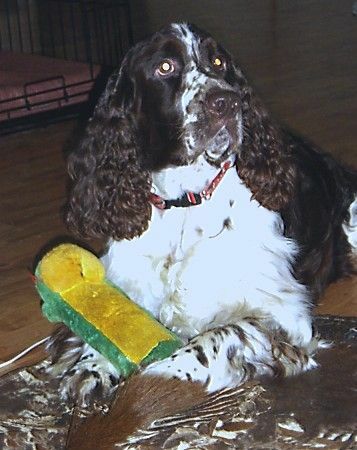 Max was the second English Springer to become a part of our world ~ owned by Michelle Robbins ~ he was very much a leading member of the pack & a major player in our lives. Max was indeed a force of nature! Very greedy he would go to the ends of the earth for a piece of mouldy carrot! He LOVED carrots! In hindsight, he actually ate an awful lot of carrots throughout the course of his lifetime (many tonnes no doubt! ), as he was inclined to get quite porky & this was both an effective & rewarding way of maintaining his figure & keeping him in show condition. Seriously hard to beat in the showring, Maxi retired virtually unbeaten in his class at Championship, Speciality & Royal Show level. His movement took your breath away & we lost count at the number of judges that commented had he not been neutered, he would quite easily have been awarded Best in Show! Both International & 'local' judges were blow away by his faultless, correct & show stopping movement, topline on the move & ground covering gait. A pure delight to watch. 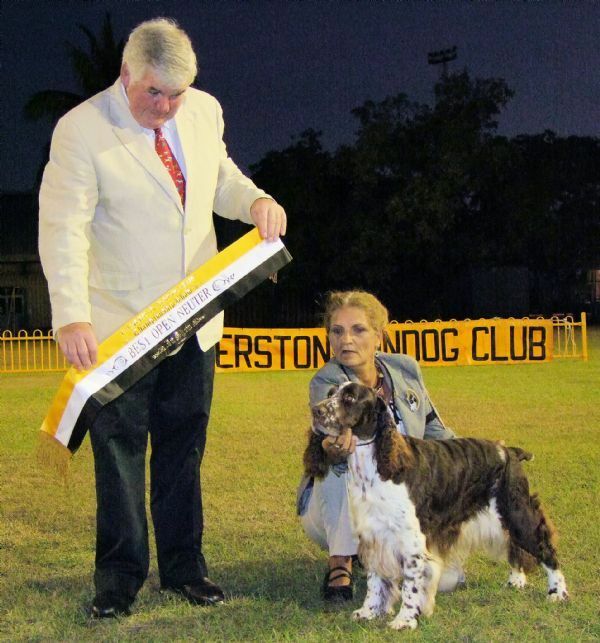 From the famous Tarnell kennels in South Australia, Max was bred in the purple ~ in fact, it was because of him that we went on to acquire Meazle (Sup Ch Sunspur Zuess CCD CD RN RA ET), who is a direct nephew of Max. Their breeding is so close ~ he truly was 'Uncle Max'! There are so many funny stories to tell about the Maxi dog! He was so greedy he would eat ANYTHING! He famously survived scoffing down a packet of snail bait (in any other dog this could prove fatal! ), he even pigged down a pile of glass mosaic tiles & never missed a beat! He would eat random dishcloths because they'd quite possibly been near food plates & he created great amusement at one show ~ on his way to compete he managed to hijack (quite unnoticed & at warp speed), a giant untouched hamburger (complete with salad) from someone's dinner plate & poor Michelle had to wrestle him at the entrance to remove the stolen snack (which she then tossed windward), before he went charging into the ring licking his spotty chops! He could walk ghost like through a busy Royal Show crowd surreptitiously robbing small children of their ice creams & ambushing their sweets ~ & no one would notice until it was too late! Once he became firmly wedged in the dog biscuit barrel at home ~ & it was quite a monumental effort to extract him! Rubbish bins always had to be kept at eye level & fridges always shut tight! 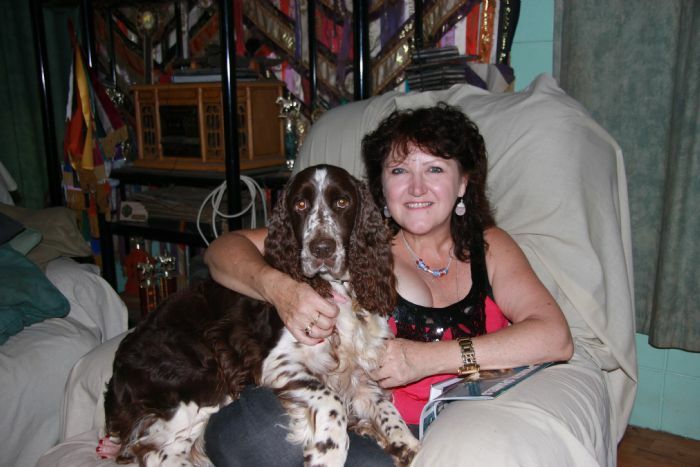 Dear old Max ~ the greediest little Spaniel in the world!